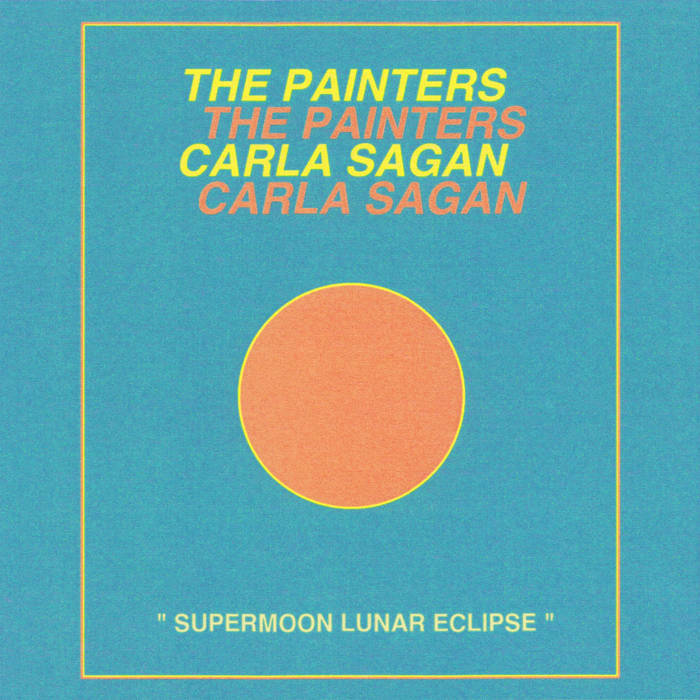 Egg Paper Factory, darlings of Montreal’s independent record label scene, have released a new spring gem this week: a split-tape featuring The Painters and Carla Sagan, both local bands. 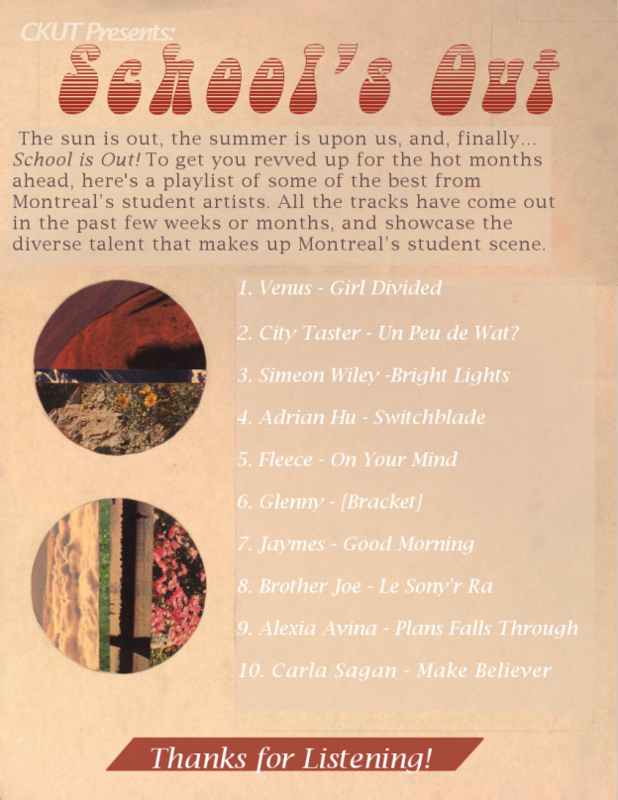 Supermoon Lunar Eclipse spans just 7 tracks, so each will be detailed below for your listening pleasure. NB: Tracks by The Painters will be labeled (TP), and those by Carla Sagan will be labeled (CS). Bonne écoute! The Painters embody a gentle folk band infused with a heavy dose of psychedelia; acoustic guitars ground the swirls of synth and lend a nice contrast to lead singer Alex Bourque’s vocals, which scratch along the tracks delivering raw, honest lyrics. Carla Sagan (yes, they seem to embody the female soul of renowned astroscientist Carl Sagan) is the ultimate funky rock-pop group who consistently produce an experimental and authentic sound. 1. Supermoon Lunar Eclipse (TP): jangling chords introduce the instrumental title track, and continue to mingle with the snarling electric guitars that rip along until the track fades out without much fanfare. The track is a good introduction to a unique split-tape that highlights a lot of what local Montreal bands have to offer. 2. Growing Pains (TP): In a personification of the title, this track features a drum line that is hesitant and faltering when keeping time with the acoustic guitars; however, the integration of electric guitar provides a warmer, more rounded coloring by the second stanza. The instrumental imagery evokes the defiant growth of a crocus in early spring. 3. Finish Line (TP): Bourque’s voice calls from a distance here before synth fades in, washing the track in a celestial glow; the effect provides a counterbalance for the low, grounded guitar work. The simple repeating vocal melody tethers the shifting instrumentals, pulling the track together as the different elements create an intricate three-part harmony. 4. When The Fog Lifts (TP): This track is easily The Painters’ tour de force, featuring simple, melodic vocals and beautifully abundant instrumentals. Bourque’s lyrics shine through here, and small, expertly-timed crescendos and decrescendos evoke the rolling ocean. A liquid electric guitar provides an overarching harmony to the vocals, and the two intertwine in an intricate duet over the constant thrumming background of guitars, synth, and drums. 5. Permanent (CS): A duet of singing and spoken-word provides an air of candidness to this short track, while blunt, staccato drums and what sounds like a harpsichord add a playful aspect. The electric guitar solo in the last minute of the track is not to be underestimated. 6. Make Believer (CS): The track opens with a low, simmering burn accompanied by a recitation from Ellen Belshaw before drums and guitar kick in. “Hello’s” and little keyboard ditties play sporadically in the background before the track rights itself. Concrete melodies from the keyboard, guitar, and vocals begin to form before the track collapses again, with noise experimentation acting as punctuation. 7. White Noise (CS): Supermoon Lunar Eclipse ends with a brilliant track from Carla Sagan that highlights the push-pull relationship between instruments. A sharp beat is provided from a drum kit, acting as a foil for the flowing guitar and and synth. The track is a paradise of sound; soft duets intermingle with different musical effects, creating an air of experimentation and unbounded musical energy. Various phone recordings accompany a wild guitar and synth combination; the vocals slowly become more desperate as the track disintegrates into a wall of noise. The track never quite reaches a conclusion, but the build-up itself is intense and highly affirming. This entry was posted in Reviews and tagged album review, carla sagan, egg paper factory, feature, local artist, split tape, the painters on March 24, 2017 by Juliana Van Amsterdam.